There’s no question electric vehicles are becoming more mainstream with every passing model year. This year, for example, Volkswagen will launch its first of many ID-branded EVs, and by 2023 GM aims to have 20 new fully electric models on sale. An even bigger issue, however, is whether Americans are ready for this new powertrain technology. 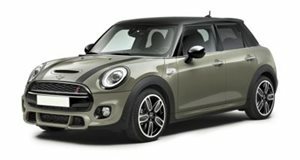 BMW’s Mini brand is also set to launch its first ever EV, the Cooper S E, and rumor has it it’s even considering going all-electric in the near future. But is that a good idea? Mini sought to answer this by commissioning a survey that asked US consumers a very simple question: how do they want to use an EV? Conducted with market research firm Engine International, Inc., Mini learned that 63 percent of survey respondents said the best way to use an EV is for commuting or city driving only. However, 73 percent of respondents said that battery range of up to 75 miles was good enough for daily use. Perhaps most importantly, the survey found that there’s still a huge need to educate consumers about EVs, specifically when it comes to charging and mobility solutions. For example, 74 percent of survey consumers had no clue where their nearest EV charging station was located. The data also showed that 80 percent of existing EV owners typically charge their vehicles at home. Furthermore, the most common answer (28 percent) when asked an acceptable time it should take to charge an EV was "I don’t know.” Another 25 percent of respondents said "30 minutes.” So, what can be learned from these responses? The main thing is that more consumer education is needed about EVs and the necessary infrastructure. Consumers appear interested in going all-electric, but when two-thirds of those surveyed think EVs are only for so-called early adapters, the need to raise awareness is all the more important.